Jack Ryan is an agent with the CIA. At least he is at the beginning of the series. There are a few series where the main character enjoys promotion. Stephen Coonts' Jake Grafton rises from Lieutenant to Admiral. John LeCarre's George Smiley moves from a junior agent to the head of the agency. None, however, has such an advance as Jack Ryan. From an analyst at the CIA to Deputy Director of Intelligence. On then to National Security Advisor, Vice-President, and finally President. It is one helluva journey, told by a master. Ryan was born and raised in Baltimore. He earned a degree from Boston College, attending NROTC at the time to earn a commission. As a marine, Jack Ryan served his country and earned credit under the G.I. Bill to return to college. Having graduated from college with a doctorate in History, Jack Ryan spent time as a stock broker, betting his own money on 'high-risk issues and scoring big'. Leaving this profession due mostly to boredom, he turned to writing and his big love, history. He taught for a time at the Naval Acadmy and it was there that he really became noticed and was finally approached by the Agency. At the beginning of the series, Ryan had worked for three years, on his own time, on a biography of Admiral Halsey. Ryan's involvement with the CIA came as a result of his knighthood. While as a tourist in London, he 'unknowingly prevented the assassination of two very prominent figures' by terrorists. This earned him an honorary title and brought him in touch with many important people who would be valuable later in his life. 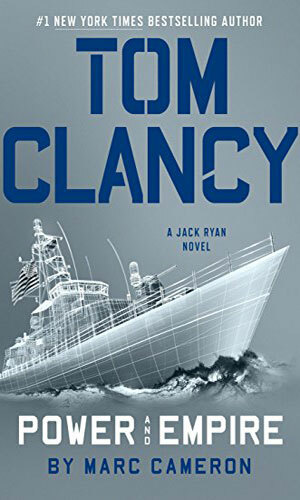 Having made these contacts and earning a reputation as an excellent researcher, Ryan is approached by the CIA where he quickly comes under the tutelage of Admiral Greer, who found in Ryan an excellent analytical mind. Ryan quickly moved up in the ranks until, at the start of the series, he is Greer's chief analyst. Ryan is married to a highly successful surgeon named Caroline but called Cathy. They have four children. Since the series covers such a wide period of time, the children grow up and go out on their own. His son, Jack jr., eventually takes a job much like his father. The majority of the activity in the series is before Ryan's days as President. Once he takes office, his actions are obviously quite a bit different than before but cloak and dagger features prominently nevertheless. Captain Ramius is the best sub captain the Soviet navy has to offer so it is natural to select Ramius to head the sea trials on their newest submarine. Then he decides to defect and the Soviets are after him and the only American who believes it is a simple CIA analyst named Jack Ryan. Though second in the series, it is a prequel. 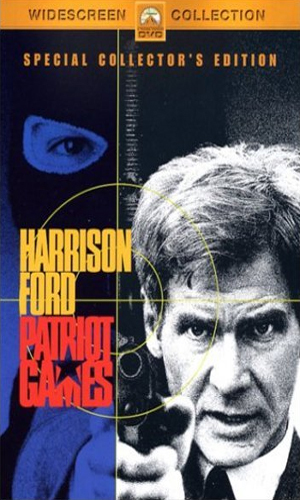 A young Jack Ryan, on vacation in London, halts an assassination attempt, resulting in the death of a terrorist. The remaining terrorist, brother to the first, makes a vow of vengeance against Ryan and the actions to bring about this retribution take him to Ireland and then to the United States. 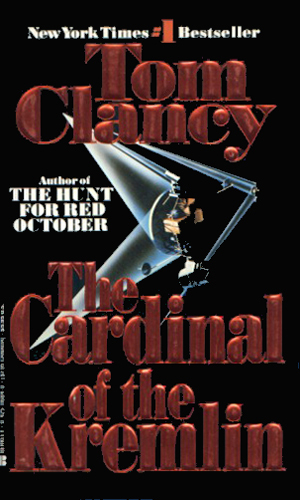 The Cardinal is the codename for the highest-placed American agent in the Soviet Union, a man who knows the truth about the Soviet missile defense system and the plans the Iron Curtain nation has for it. He is marked for elimination by the KGB. Jack Ryan is the CIA agent in charge of getting him out alive. When a friend of the President is murdered on his yacht in the Caribbean along with his family, the President is incensed. He vows vengeance on the drug cartels that ordered the hit. 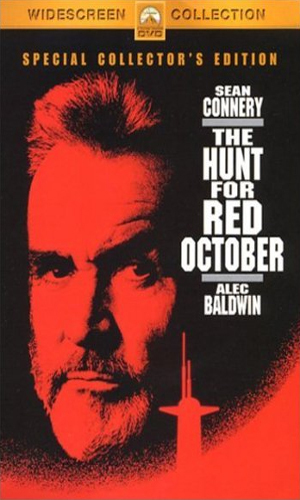 Jack Ryan is ordered to plan the main attack but soon must find a way to save his own men when they are abandoned by the administration. Much of Denver is destroyed in an atomic attack, taking the world to the edge of war as blame for the deaths of so many Americans seem to can lay fully at the feet of the Russian President. Jack Ryan, now Deputy Director of Intelligence at the CIA, has his doubts but no one is willing to listen. 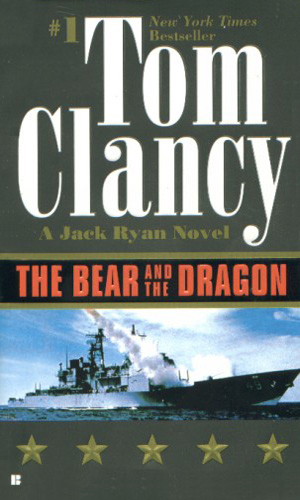 Related Book - For most of the series based around Jack Ryan, the figure of John Clark is there to carry out many of the secret missions necessary to keep the nation going. This book gets into the history of the man, showing the strange and frightening events that shaped the career of a remarkable character. 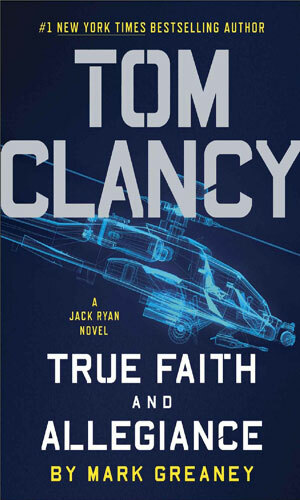 Jack Ryan is now National Security Adviser to the President facing a power-crazed Japanese billionaire begins a campaign of conquest, using as fuel the blame he has assigned to the U.S. for the suicides of his parents fifty years before. The book's ending is truly stunning and horribly chilling in the wake of 9-11 years later. 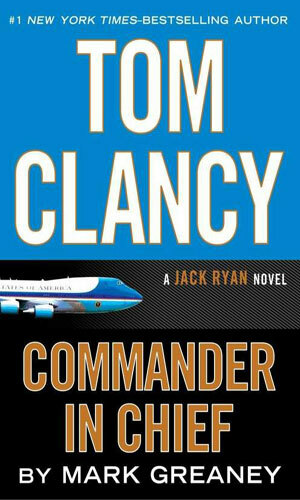 Newly sworn in President Jack Ryan must face the daunting task of rebuilding the government. Using the infrastructure that is still in place, he must ensure that the nation moves on even as it heals. The Iranians are not obliging and have an Ebola threat. 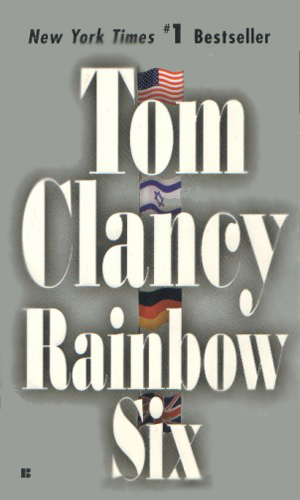 Related Book - Responding to the success of a terrific computer action game of the same name, created and published by Red Storm Entertainment, this book details the creation of the Rainbow project by John Clark, a program designed to respond instantly to the many and varied terrorist attacks around the world. Jack Ryan's job as President keeps getting harder. Not making things easier is the attempted murder of the head of the Russian KGB, an act that has dangerous ramifications. No President can take the hands-on investigation but Ryan comes close. A tale from the early days of Jack Ryan, before he fully joined the CIA. 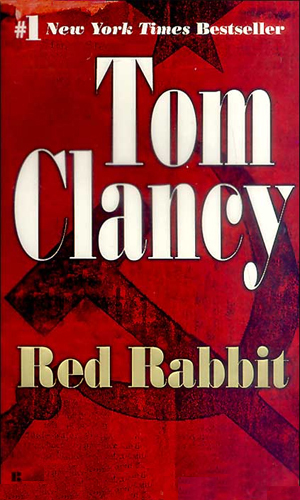 Ryan is in London doing research when he is asked to help interrogate a Soviet defector with an amazing tale of a Russian plot to assassinate the Pope. The Russian President is determined to resume control over the former Soviet republics and to stop NATO expansion. 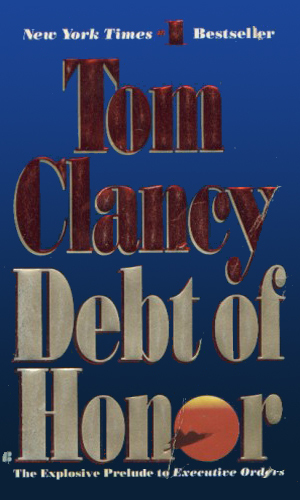 Newly re-elected President Jack Ryan has to deal with a whole new version of the Cold War. To prove he deserves to be running North Korea after the death of his father, the current dictator has an audacious plan to make his name known around the world - killing the President of the U.S. The President of Russia is desperate to bring his nation back to the glory and position it held as the Soviet Union and he will bring the rest of the word to the brink of war to do so. 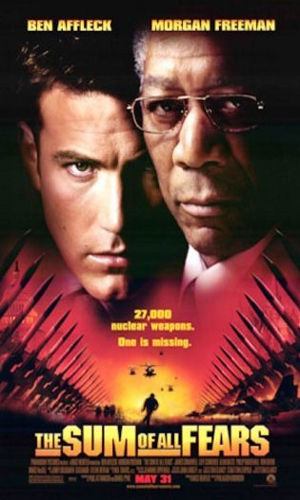 U.S. President Jack Ryan is determined to stop him. This book is being marketed as a Promo E-Book. 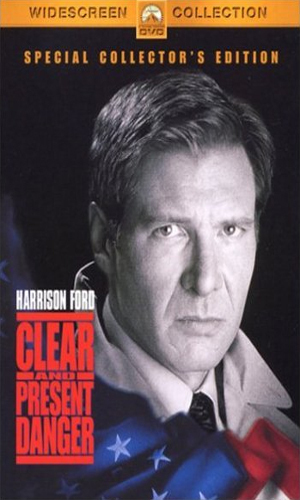 The plot is unknown but it tells an adventure Jack Ryan had as an agent with the CIA. Someone is leaking odd secrets to various people and it is causing death and destruction. Investigation into it reveals a greater threat, one that can affect the world and the only man who can stop it is the President, Jack Ryan. During the early 80s with the Cold War still going strong, a Soviet nuclear sub commander and a few of his officers want to defect and take the lastest sub with them. The Soviets try to make everyone believe it is a rogue attack in the making. 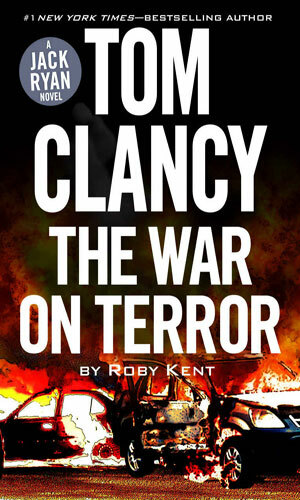 Jack Ryan is in London when a faction of the IRA makes an attack on the royalty. Ryan steps in and stops them, killing one of the attackers. His brother is now out for revenge. The President orders an illegal war against the drug cartel and Ryan is sucked into it. He is smart enough to see his situation and fights to clear his name and save lives. A terrorist group wants to force a division between the US and the newly elected Russian government and is planning a nuclear attack on American soil to do it. 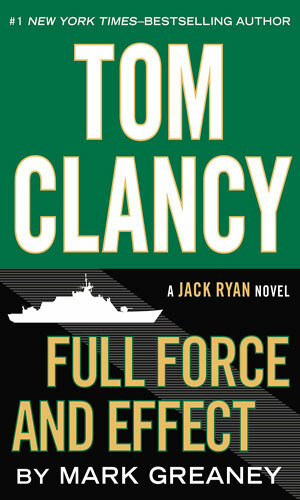 CIA analyst Jack Ryan is determined to stop them. 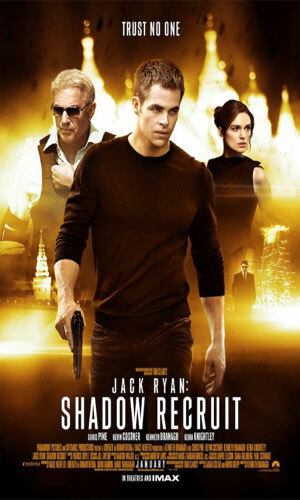 A young CIA analyst, Jack Ryan discovers a group of Russians are out to destroy the American economy with a terrorist attack. This is a reboot of the Jack Ryan series. Note: The plots marked in quotes are from Amazon's descriptions. "In the series premiere, CIA analyst Jack Ryan uncovers a series of suspicious transactions that take him and his boss James Greer out from behind their desks into the field to hunt down a powerful new threat to the world. Hanin begins to question her husband's affairs after he brings a mysterious outsider into their home." "Jack and Greer decode a fresh piece of intel that takes them to Paris and one step closer to the elusive Suleiman. Hanin's husband returns home with a renewed fervor for his secretive mission, leaving her unsure of their family's future." "Drone pilot Victor struggles with the immense responsibility attached to his job. Jack and Greer join French Intelligence officers on a mission to track down Suleiman's brother. Hanin is forced to make a dangerous decision for the sake of their children." "As Jack and Cathy grow closer, Jack's double-life is put to the test. A show of force from Suleiman adds to his ranks and brings him one step closer to his next attack." "After the horrific Paris church attack, Jack and Greer discover a deeper strategy behind Suleiman's actions, forcing Jack to suggest an unusual trap for him. Hanin faces new challenges in her quest for freedom." "Jack's moral code is tested when he and Greer use a Turkish criminal to help them track down a high-value target who may be able to lead them to Suleiman. Hanin tries to evade her pursuers and keep her daughters safe. Cathy investigates an outbreak of a virulent form of Ebola that may point to something more ominous." "Jack and Greer try to convince their superiors to lead a covert ground assault to capture Suleiman. Jack's double life costs him an important relationship." "Jack and Greer fear Suleiman's next attack could be on U.S. soil. They must figure out how to stop him or risk enormous costs." 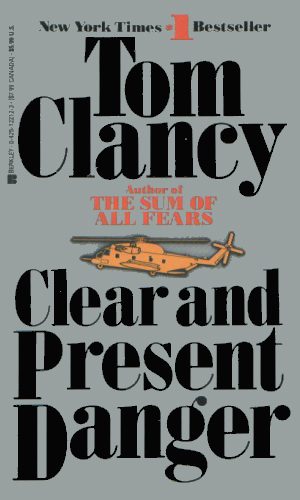 Tom Clancy created, for all intents and purposes, an entire genre of fiction, namely the techno-thriller. There are not many authors living that can claim such a momentous event. While I have read many reviews that have belittled his writing, his characters, his convoluted plots, and his 'god-knows-what-else', I have to chalk most of it up to jealousy and the natural urge to topple the great. 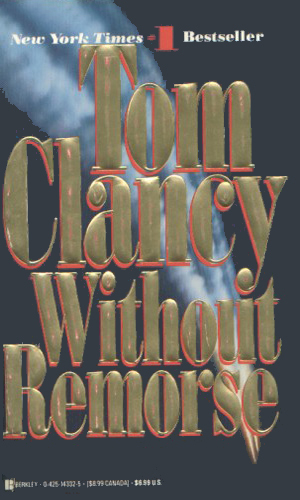 I am a huge Tom Clancy fan, as you can undoubtedly tell. 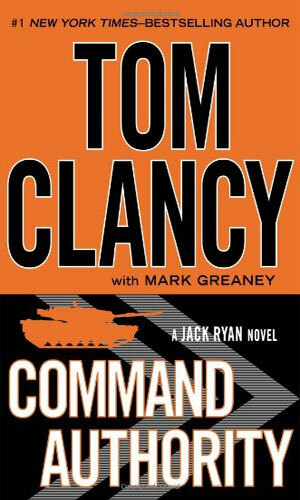 I have some reservations of his other 'series', written by others under his care, but the Jack Ryan books are fantastic. The character is a strong leader, caring family man, brilliant analyst and strategist, and a not-shabby action hero. The last few books in the series have paled compared to the rest. 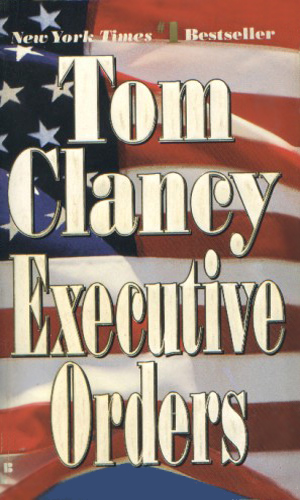 I wonder if they were written by Mr. Clancy or someone else. They lack the snap that the other had and I had to push and pull myself through to the end. But the first nine books in the series should be on the MUST READ list of any fan of spy-fi. They are the work of a true master and deserve every iota of praise they get. 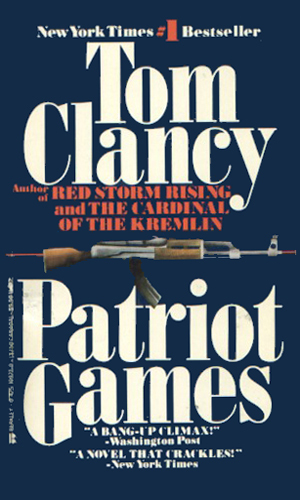 Thank you, Mr. Clancy, for your awesome work. And thank you for also being kind to an awe-struck fan. 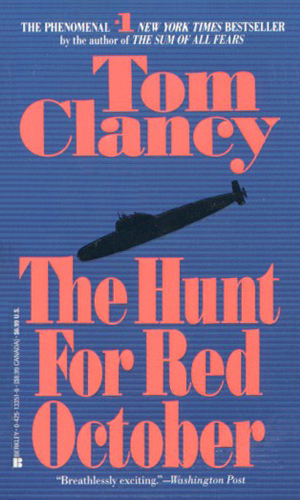 While working with a game company, MicroProse, back in the 80's, I had the fun of attending during a convention a party to celebrate the release of their game "Red Storm Rising", based on Mr. Clancy's second novel. I had not worked on the game but I was invited because I had worked on other MicroProse games and I was a huge Tom Clancy fan. It was obvious that the noted author was there because of contractual obligations but he quickly became friendly and outgoing to myself and two other fans. He spoke with us for over an hour; 60 minutes I fondly remember and which he no doubt has forgotten. 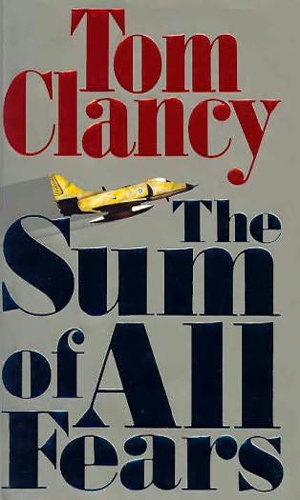 What I came away from the meeting with was that the knowledge in Mr. Clancy's head about Soviet plans and abilities was every bit as good as mine (probably better!) and I had been a Soviet military analyst for nearly a decade. And the man could WRITE!